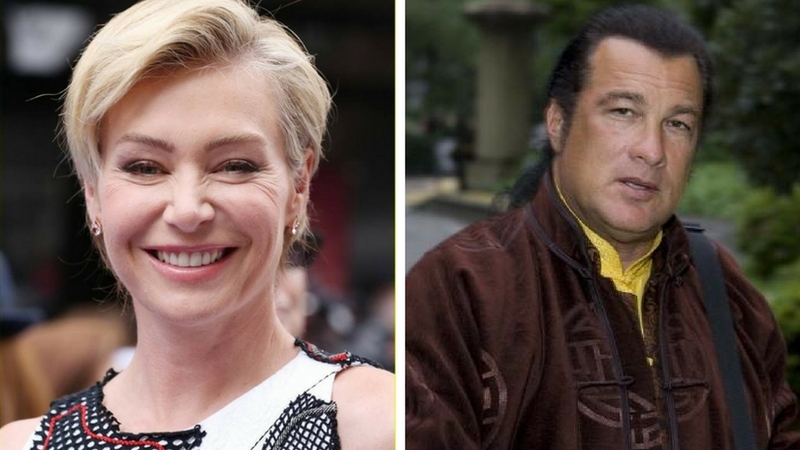 Australian actress and wife of American talk-show host Ellen DeGeneres, Portia de Rossi, has revealed that actor Steven Seagal had sexually harassed her during one of her auditions for his film. Last week, The Good Wife actor Julianna Margulies revealed that she was harassed by Seagal and Harvey Weinstein in separate encounters during the 1990s. Recalling the ordeal with Seagal, in an interview on Sirius XM’s Just Jenny, Marguiles said that she was asked by a female casting agent to visit the Under Siege star on the pretext of discussing some scenes from the audition. After reaching the venue, the agent was nowhere to be found. Margulies says, “I got to the hotel at 10.40 (pm), and she wasn’t there. And he was. Alone. And he made sure that I saw his gun, which I had never seen a gun in real life. And I got out of there unscathed … I don’t know how I got out of that hotel room. I sorta screamed my way out,” reports Vulture. Not only Marguiles, actress Lisa Guerrero also recently told the Los Angeles Times about her unpleasant encounter with Seagal when he greeted her and her female casting agent at his door “wearing nothing but a silky robe”, adds the Vulture report. Back in 1998, Seagal was accused by Jenny McCarthy of repeatedly asking her to remove her clothes during an Under Siege 2‘s casting session.